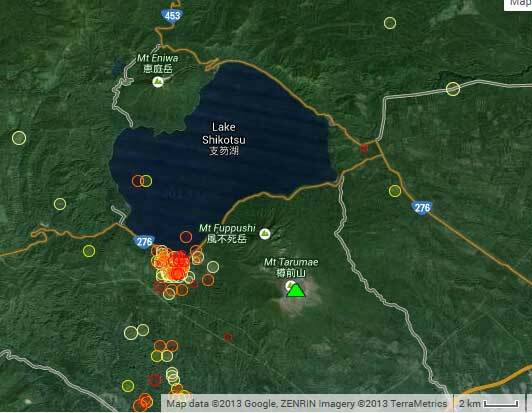 The latest report of the Japan Meteorological Agency indicates some unrest at the caldera. Seismic activity accompanied by inflation were recorded under the western flank of Tarumai stratovolcano (the most active vent of the system, located on the SW rim of the Shikotsu caldera) between late June and early July this year. Following this period of deformation, deep seismicity under the western flank has increased above background since the beginning of July. There are no reports of unusual surface phenomena.